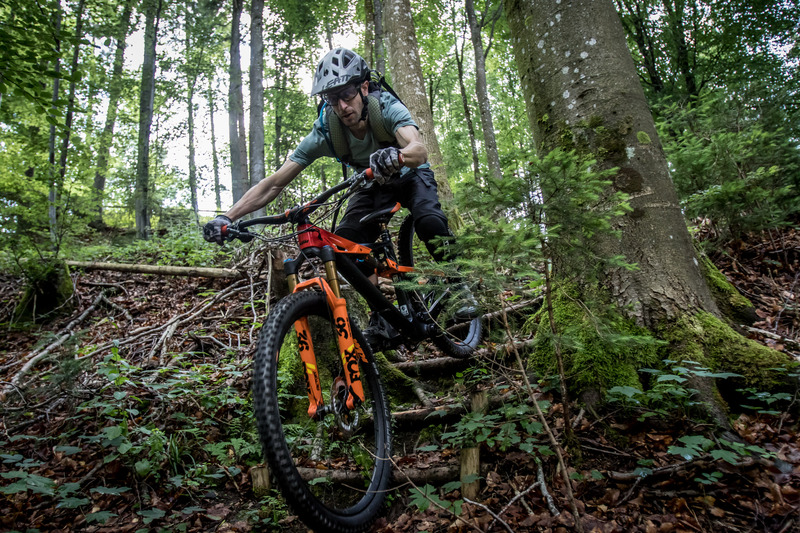 According to its makers from Mattighofen, Austria, the new Prowler is an adventure bike. In the land of many category names, that could mean a lot of things. 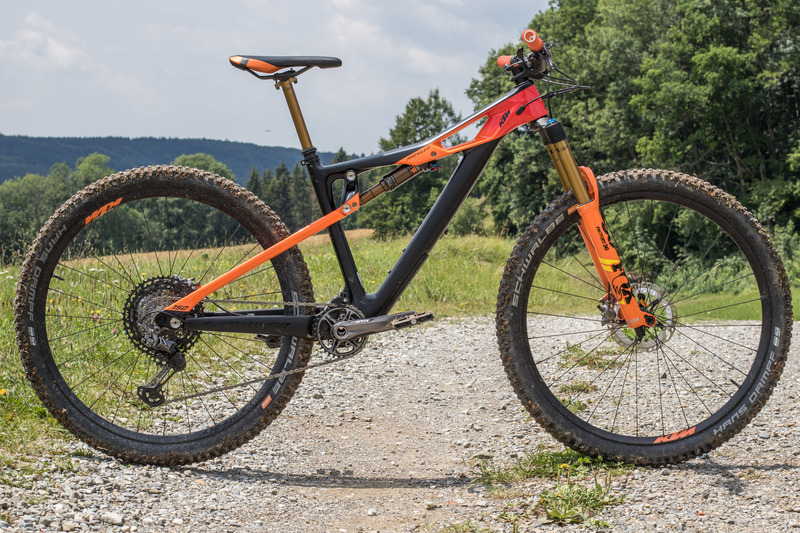 Looking at the facts a little closer, with 150 mm of travel front and rear, 29" wheels and a rather mellow 66.5 degrees head angle, I'd call it an all-mountain or trail bike - especially, since KTM managed to put together a ride with a competitive weight of only 12.7 kg. Part of the package: Shimano's new XTR, Fox telescopic seatpost, Schwalbe Hans Dampf tires and KTM's home-grown cockpit. Even by today's standards of modern geometry specs, the KTM Prowler's reach is pretty long. Size S measures in at 445 mm (461 for size M and 488 for a size L). That raises the question, if a small-size frame should rather carry the label of small or medium. 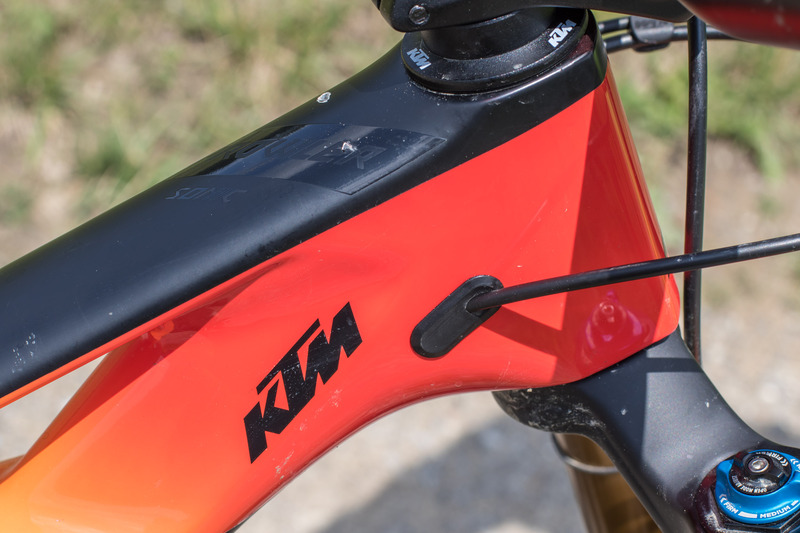 On the other hand, if you look towards the more stretched enduro or all-mountain slayers on the market, which deliver massive amounts of control at high speeds, then KTM is right where it's at in regard to the trend of bikes getting longer and longer. 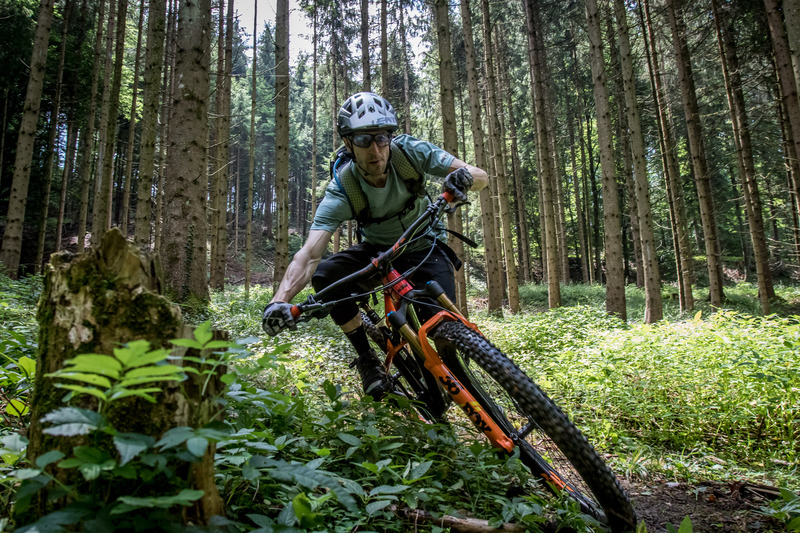 With a standover height of 805 mm (same value for all frame sizes) and seat tube length of 430 mm for a size S, we can't help but assume that smaller riders might have a problem finding a comfortable home with the smallest version. Below a body height of 165 cm, the rider should at least try for a while, if the seating position could become a match to last. Measuring 76.5 degrees, the seat angle is nice and steep, and that's a good thing. For efficiently climbing the mountains, a very good thing. 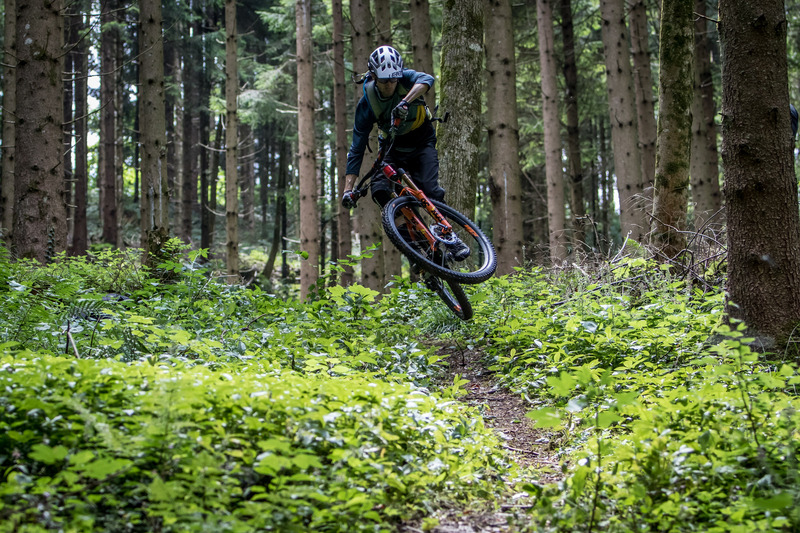 Of course, only spending two days on a bike is no guarantee for a thorough analysis of its pros and cons. The Prowler however, was more than willing to reveal its basic character. First off, the bike can definitely climb. I applaud the steep seat angle. 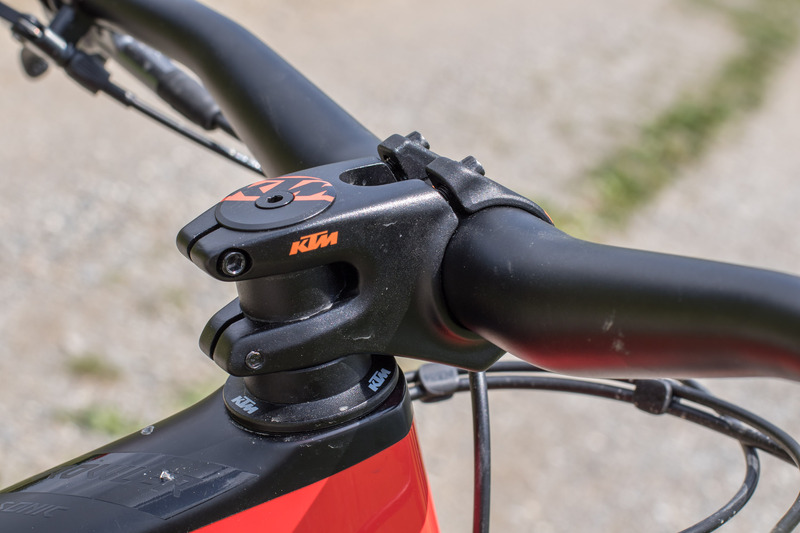 Many companies have still not realized what kind of pedal pressure is achievable that way, KTM luckily have. 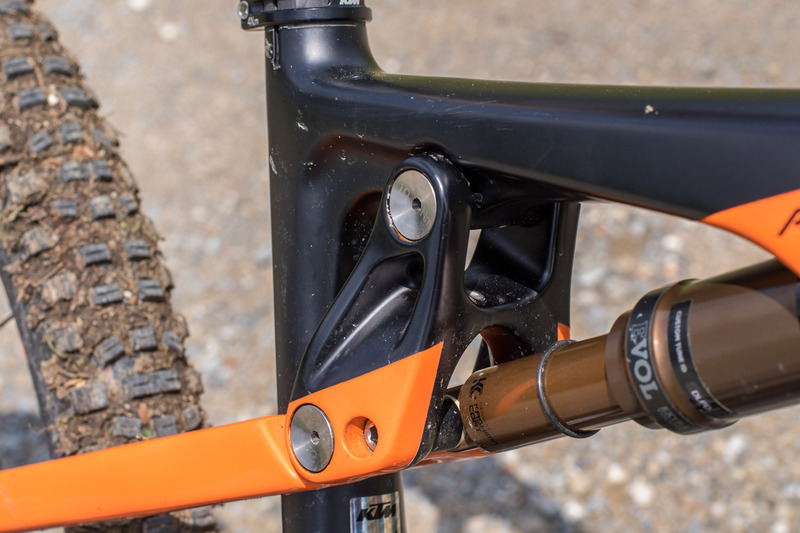 Pushing the shock's three-position lever into its open setting, the rear end is not fully bob-free but sensitive to small obstacles. 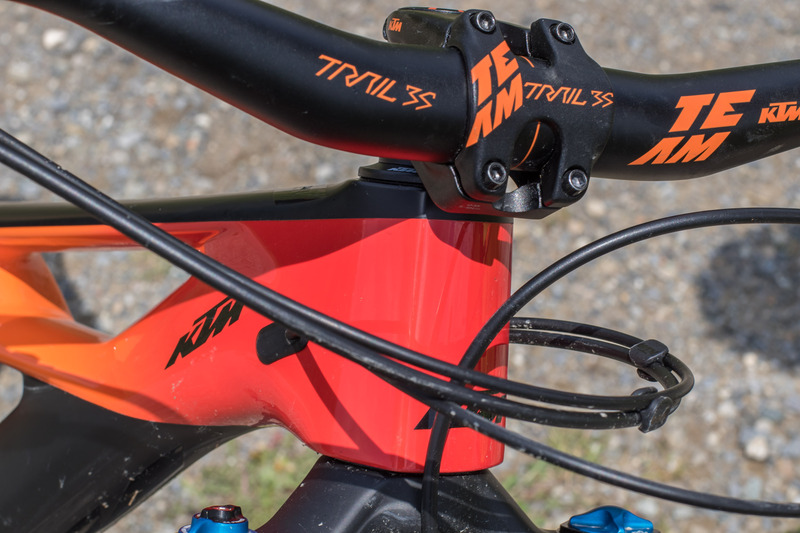 Reaching to the downside of the top tube, where the Fox Float DPS rear shock with its three-position lever is located, altitude is annihilated with medium platform support, keeping the shock from diving under load, or the help of complete lockout. The Prowler is equipped with KTM's SLL Straight Line Link that actuates the shock in a linear fashion and thereby reduces the forces acting onto the frame. Horst Links at the dropouts are part of the design and keep the rear suspension active under braking influences, among other things. The straight, uninterrupted seat tube offers plenty of room for a telescopic seatpost, with lots of stroke and deep insertion depth. That is, if the leg length and stop collar of the pretty long seat tube (at least for size S) allows for it. 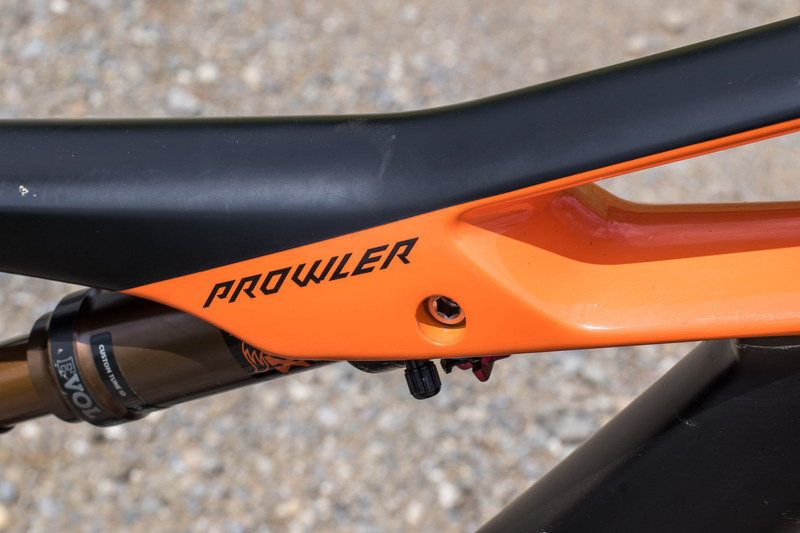 With a fat Fox 36 out front (and a mini custom chainguide) the Prowler is hinting at its downhill prowess. 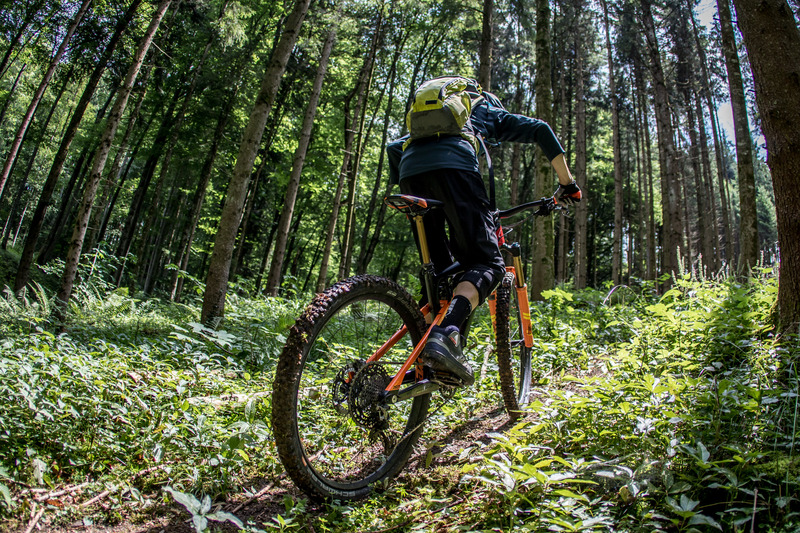 While the rear wheel travel does not necessarily convey a sofa-like experience, the rear end with its seemingly rather linear progression is eliminating small and medium hits without grumbling. 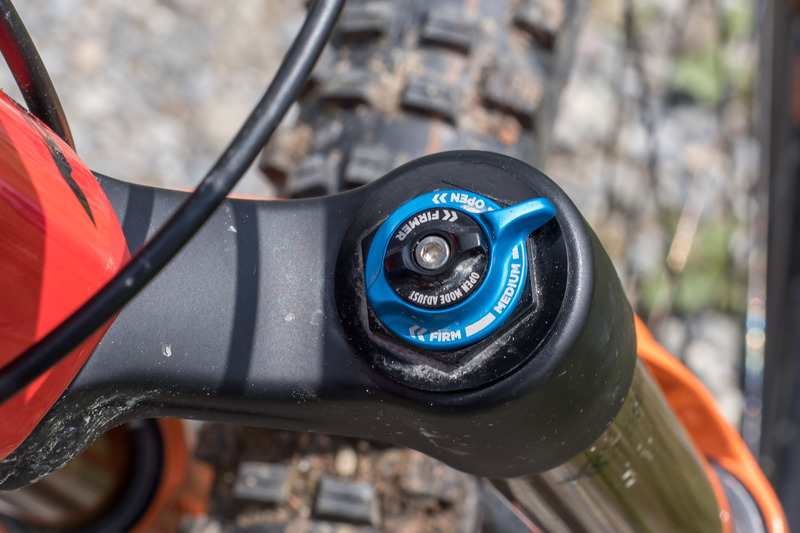 Only at really hard hits does the Fox Float DPS rear shock reach the end of the stroke more abruptly. 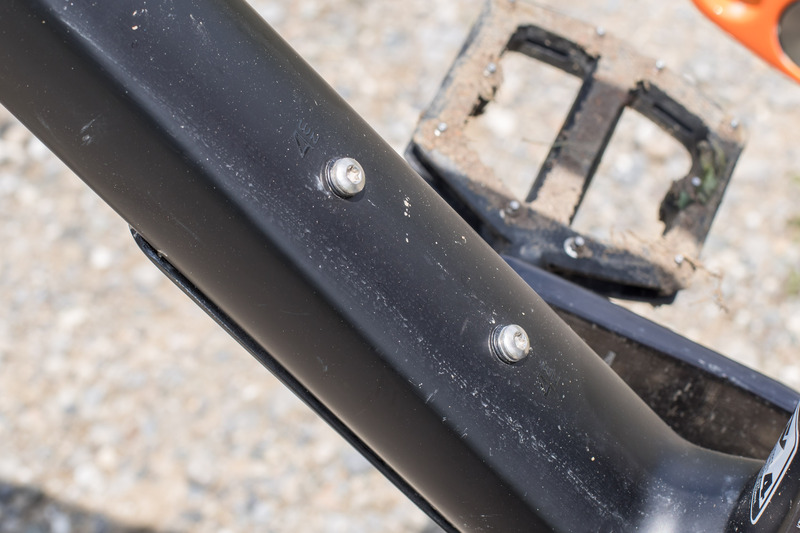 Those looking for more support can add some volume spacers for a more progressive suspension curve. How the shock without piggyback is performing on longer downhill runs, I can't tell, but I assume that due to its lower heat resistance, consistency might suffer slightly. 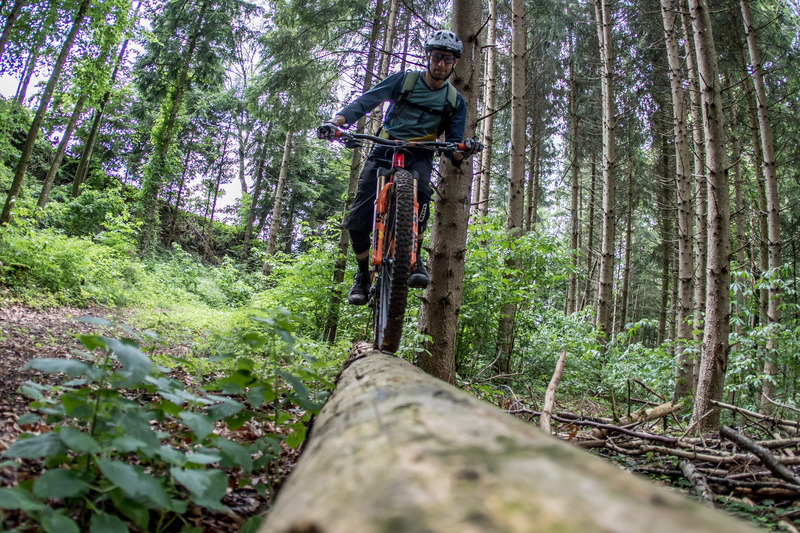 I'll also have to be stuck on an answer about the bike's capabilities down rougher trails, as our testing grounds were rather tame, barring a few short exceptions. Regarding acceleration, I still prefer 27.5-inchers to 29ers, but I must confess that the bigger wheels are very well integrated into the Prowler. 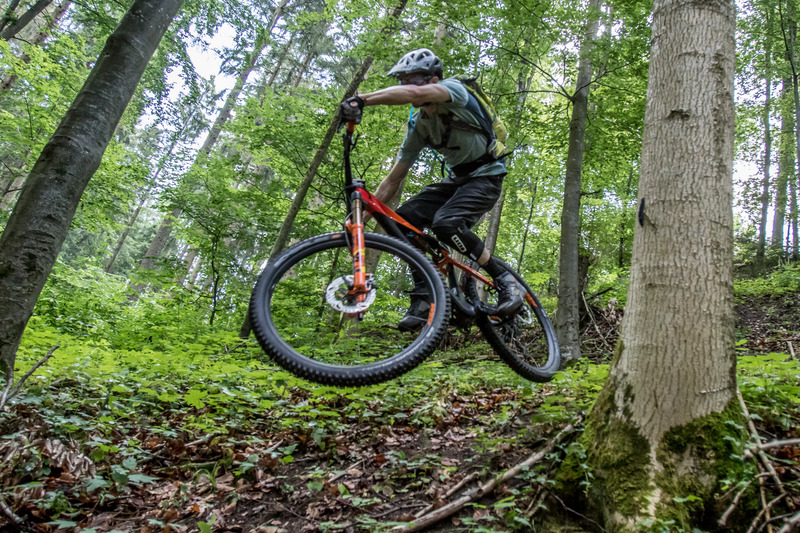 Thanks to the low steer tube and the pretty low cockpit, it's easy to put pressure over the front wheel, with the front tire providing ample traction when leading into the corners. 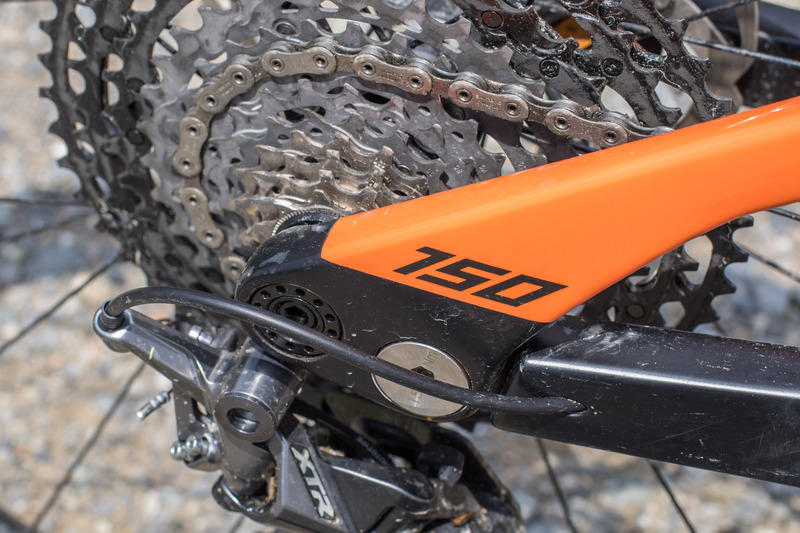 A weight within the 12 kg range helps handling under any condition, especially though when accelerating quickly or even at a trek across the Alps. 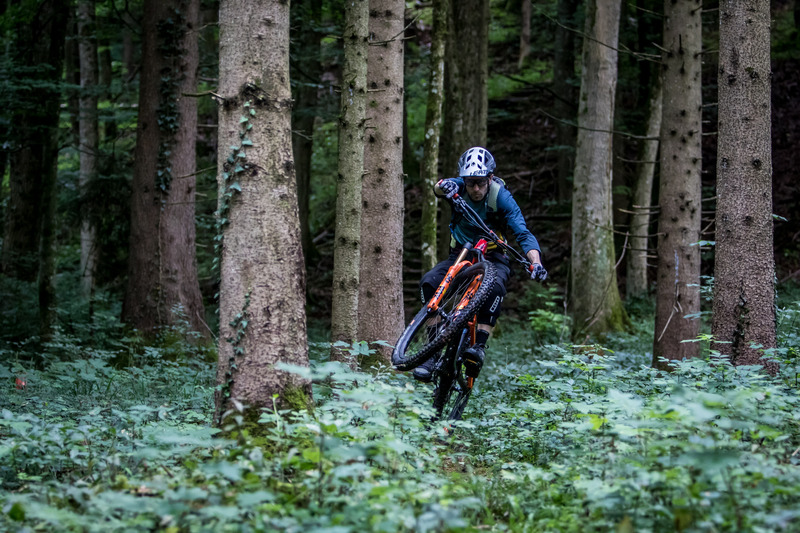 With rather short 436 mm chainstays, the bike is quick to follow steering inputs while still remaining stable at higher speeds with its long wheelbase, is easy to push into corners and precisely tracks through and out of them. 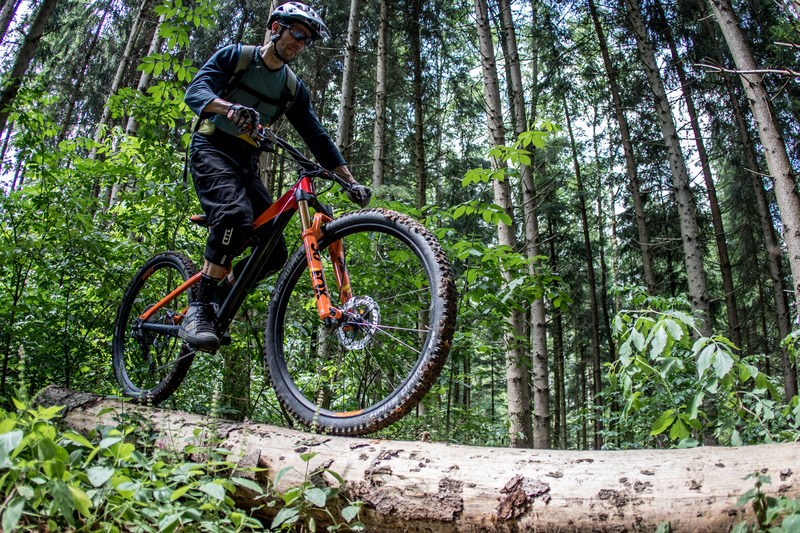 Only the frame's tall standover height is limiting movements when pushing the frame sideways, a problem attributed to the ratio between body height and frame size, so taller riders won't be affected as much. 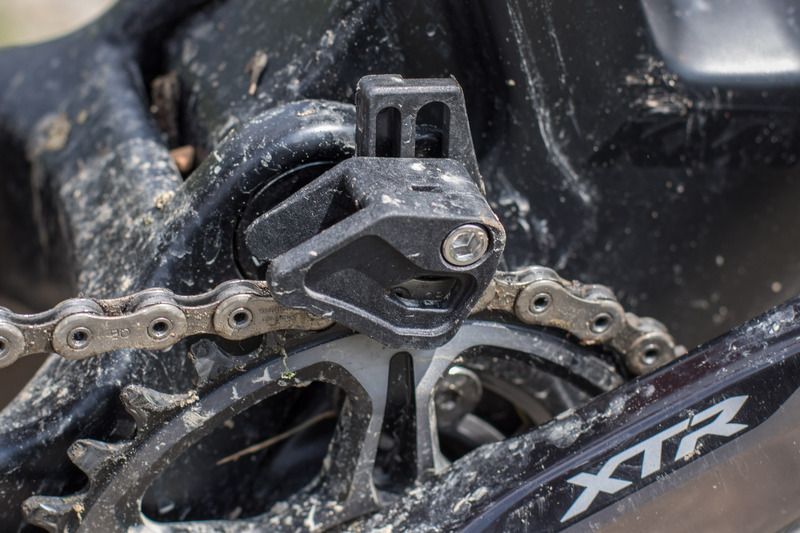 Shimano's new XTR has finally found its way to a wide 12-speed gear range of 510 percent (even 10 % more than Eagle) and convinces with its typical precise gear changes. Only the force required for shifting must endure some criticism. Especially when shifting down, the force required is surprisingly high - when optionally pulling the index shifter with your index finger instead of pushing it with your thumb, even higher. 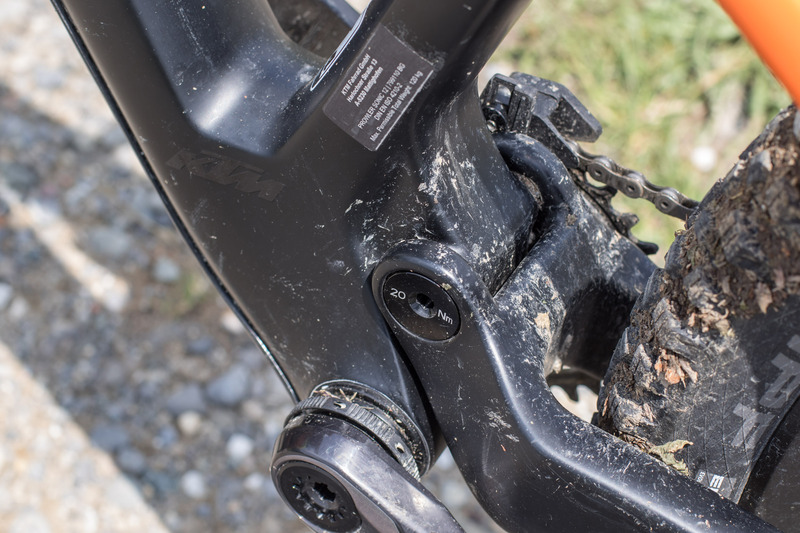 During the short test period, I wasn't able to really put the XTR Trail four-piston brake to the test but the first impression in terms of modulation and braking power was promising. 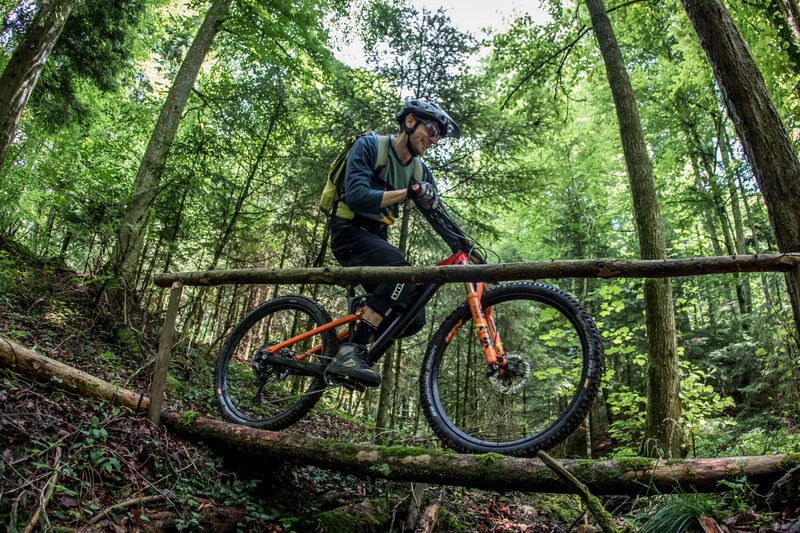 After the first few kilometers out on the trails, the Prowler is quite likeable - if it's made for adventure-seekers or other differently labeled riders like all-mountain bikers is just a formality and in the end basically the same anyway. The Prowler's stomping ground is widespread so it should be an object of desire for many types of riders. That is, if you have €6,799 stashed away in your pockets. 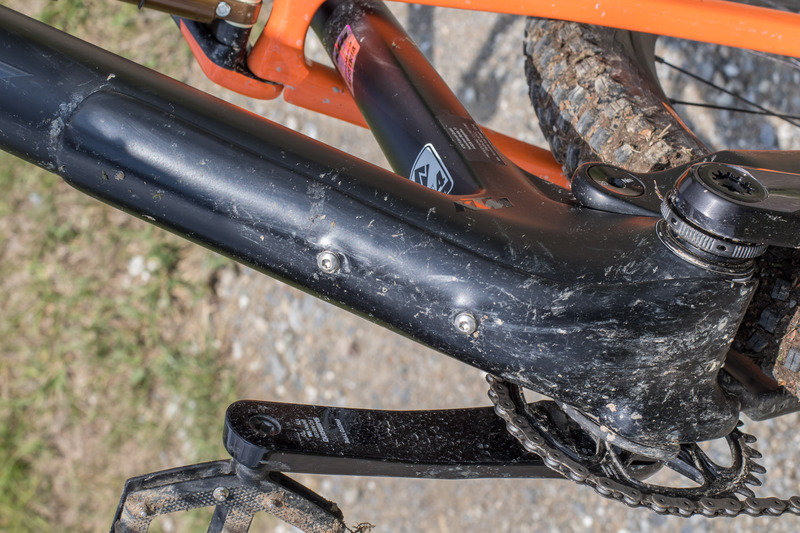 With a relatively low weight of 12.7 kg it's also not out of the question to tackle some longer rides, with the potent chassis smoothing out various terrain with little effort, although a verdict is still open regarding its capabilities under really rough riding conditions, due to the short testing period. Only smaller riders (approximately below 165 cm in body height with rather short legs) could feel hard-pressed to find the perfect match with a size small frame - not necessarily because of the long reach, as that falls into the category of personal preference to a certain degree, but because of the rather long seat tube and the high standover clearance. That also means though, that taller pilots have the possibility to jump down a frame size, in case the modern interpretation of reach is feeling a bit too stretched after all.